Contributor Anthony Boutard of Ayers Creek Farm doesn't just love horseradish, he adores it in the same way other people get weak in the knees over chocolate or spontaneously drool at the mere mention of foie gras. Proof is provided when he talks about his idea of the perfect restaurant, where instead of over-large pepper mills, servers carry horseradish root and graters for sprinkling on salads. 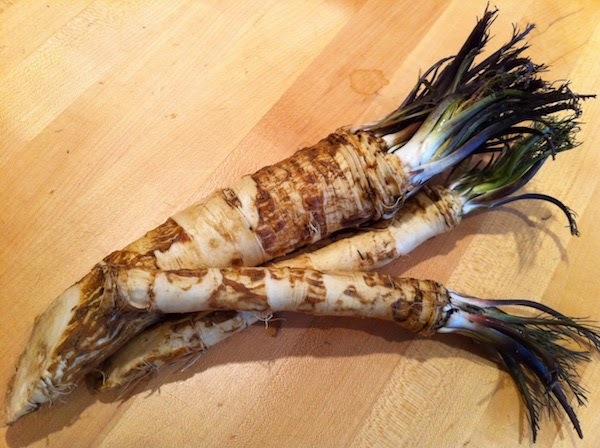 There is not much of a horseradish lobby, so its wonderful health benefits are barely explored and publicized. For example, digging it offers wonderful cardiovascular stimulation. 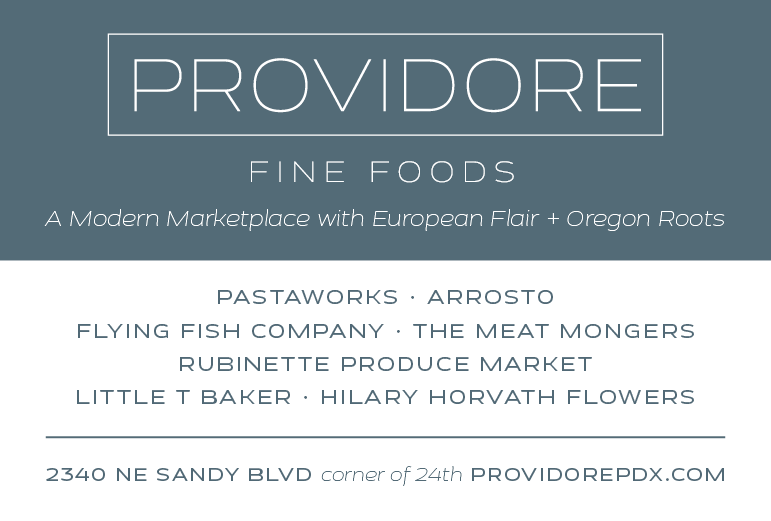 In addition, it is clearly an aphrodisiac as we love putting it on all manner of foods. 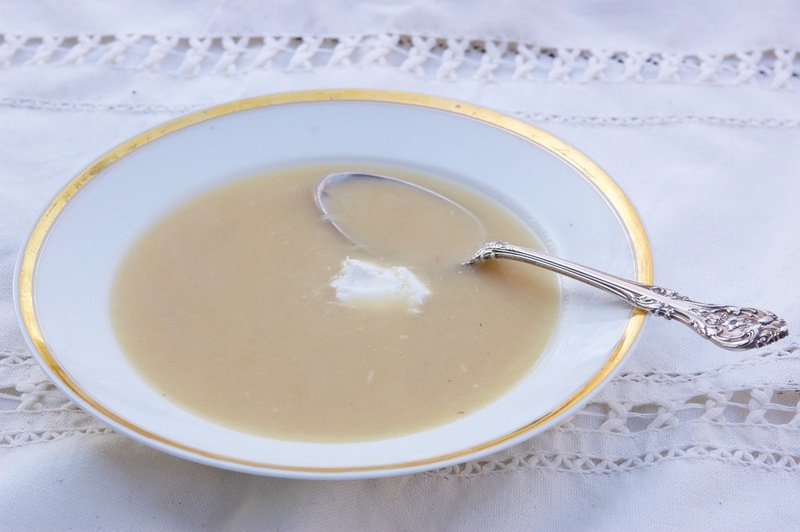 Linda Colwell, who shares our affection for this mulish root and helps us dig it for the farmers’ market, recreated two krensuppe recipes from lasting memories of a soup we enjoyed years ago. A strike at Charles DeGaulle Airport had thrown the European airline schedules out the window, necessitating a layover in Frankfurt, Germany. We were given a room in a Marriott Hotel miles from anywhere and quite late in the evening. The dining room did not look promising at first, but reading the menu we relaxed. The fare was simple German cooking using local ingredients. Among the soups offered was krensuppe. It was actually two soups: a red and a white soup served in the same bowl. 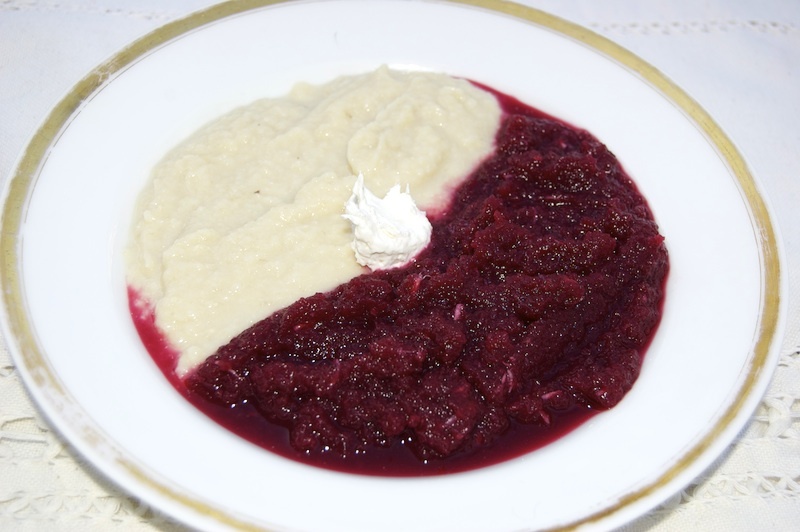 Although they can be served on their own, the red and the white versions together in a soup bowl make a striking visual display and, with the shared horseradish, harmonize wonderfully on the palate. The colors, by coincidence, are those of the Austrian flag, and horseradish soups are part of Austrian cuisine. Served hot or cold, they provide good vegetarian fare. The third version is from an old Romanian cookbook of Linda's. It uses beef stock, roux and a very generous quantity of horseradish. The grated root is cooked with the flour, softening its flavor in the soup; the flavor is peppery and mellow. In a large enameled pot, melt the butter and cook the onion in it over medium-low heat for about 15 minutes, until the onion is translucent and soft but not brown. Add the potatoes, water and salt. Simmer over low heat until the potatoes fall apart, then cool them to room temperature. Purée the ingredients through the medium plate of a food mill (or immersion blender or in batches in a blender). Bring the soup to a simmer, taste, season accordingly. Add freshly grated horseradish to taste. Cook the whole beets in their skins in heavily salted water until tender. When cool enough to handle, peel and cube them. Pass them through the medium plate of a food mill (or mash well with a potato masher) into a large enameled pot. Add the water, vinegar, and salt. Bring to a simmer, taste, and season accordingly. Add freshly grated horseradish to taste. To serve the soups, ladle the beet soup into one side of a shallow soup bowl and the potato soup into the other side, so the soups meet in a line down the middle. Serves 6. In an enameled cast-iron pot, melt the butter over medium-low heat. Add the horseradish, and cook until wilted and soft, about 4 minutes. Add the flour and salt and cook thoroughly without browning. Add the hot broth slowly, whisking to prevent lumps. Simmer 10 minutes. Add the heavy cream, taste, and season accordingly. Serve hot with croûtons—cubes or slices of bread fried in butter or fat until they are golden brown and crisp—prepared at the last minute so they sizzle as they are scattered on the soup. Serves 4.